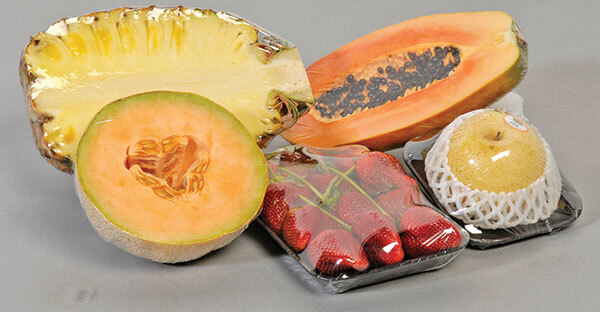 Quick Pack Pacific is a leader in Asia for manufacturing CLING FILMS for all Food Purposes. We use Italian machinery and Italian formulations that follow European standards.The material PVC films follow strenuous regulations, which vary from north to south America and from Europe to Asia. Quick Pack Pacific manufactures following European regulations, which happen to be the most restrictive set of rules worldwide, therefore, this means that our formulations are accepted throughout the world. Currently QPP, sells in many parts of the globe and through our re-sellers we cover every continent. Quick Pack Pacific manufactures different types of Cling Film, which can be totally customized according to different market requirements. Sizes, lengths, colours and thicknesses; all are tailor made to order. Thicknesses are gradually decreasing as new technologies are introduced. This also applies to length of the mother reels.